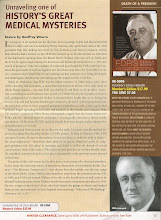 I am often asked whether a cover-up of presidential health on the scale of FDR could occur again. 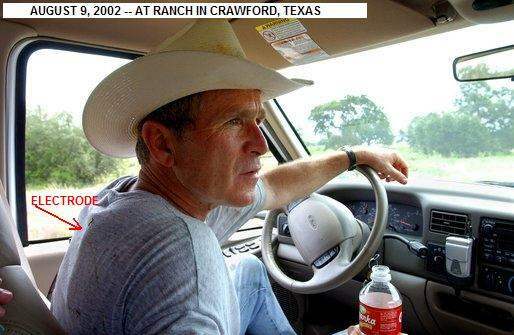 Here is a link to a webpage that makes a strong argument that George W. Bush was wearing a portiable defibrillator during his presidency. Here's yet another, far more convincing photo. A similar bump was seen under his jacket at his recent appearance at the world series.